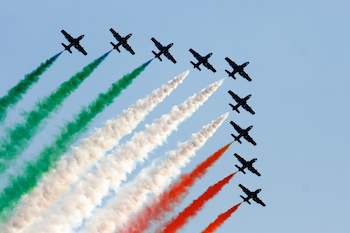 Today Italians celebrate the fall of fascism in Italy, an achievement aided by the Allies at the end of World War II. Bravi, Italiani! Yes! And what a lovely photo.